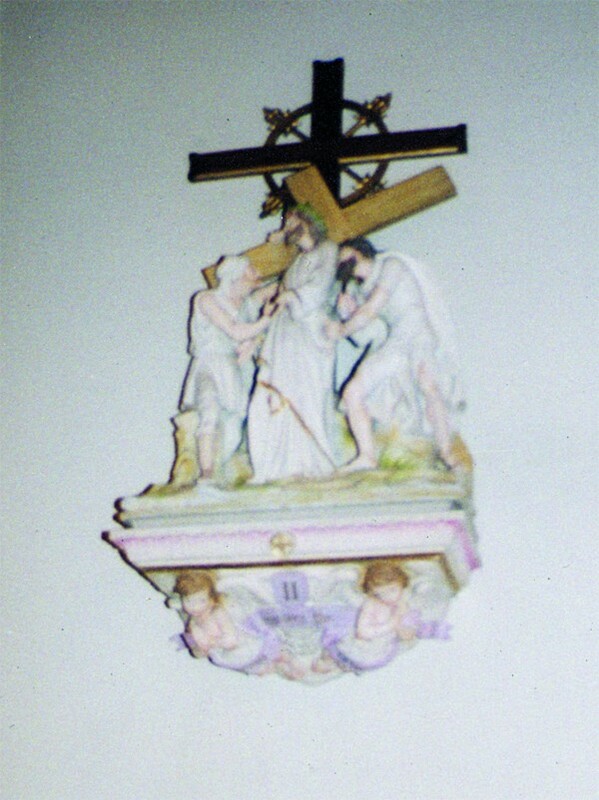 The restoration of St. Peter’s Catholic Church in Montgomery, Alabama included the Stations of the Cross, which had been painted white. Studio artists brought them to life with realistic coloration and added gold leaf accents. 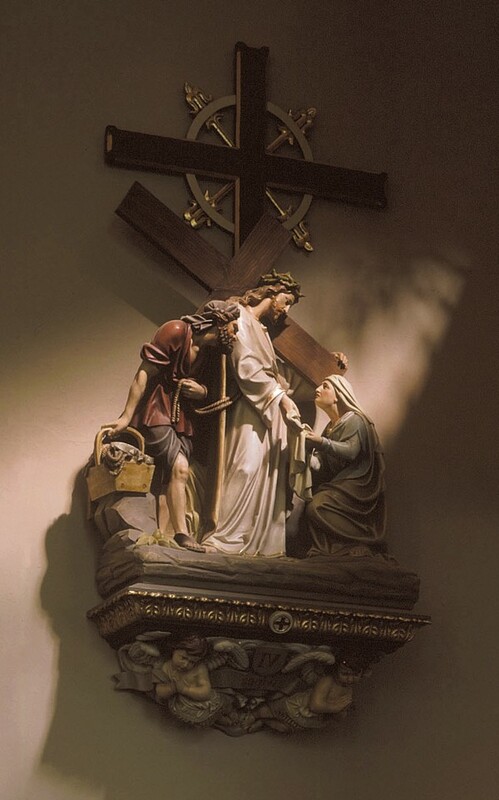 Artists from Conrad Schmitt Studios have cultivated an expertise in restoring Stations of the Cross statuary. 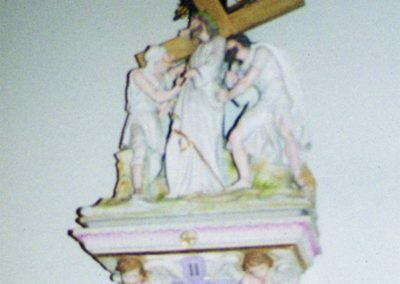 In most cases, paint deterioration and damage have occurred, so the improvement in the appearance of the Stations is dramatic. A renewed spirituality is often apparent in the artwork. In addition to the Stations of the Cross, the interior restoration included a warm color palette and gilded accents, which were chosen to create a welcoming environment for the church. 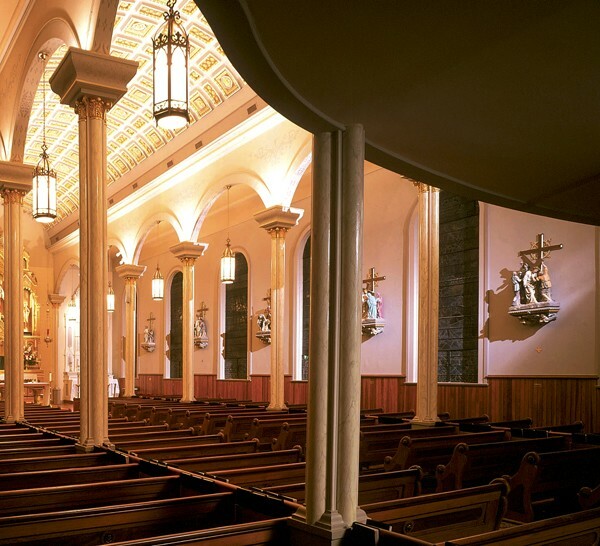 The decorative molded plaster ceiling was added to draw the eye upward and toward the altar. 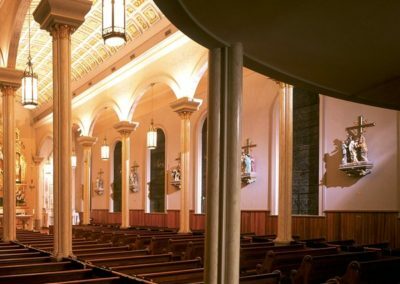 The font, altar and ambo are inspired by the architecture of the church and incorporate marbleizing, gilding and stained oak. The original high altar, formerly white, has been gilded, burnished and glazed to serve as a beautiful backdrop for the liturgy.